Since the iPad 2 we had the Smart Cover which only covered the top of the iPad and didn’t provide much protection on the back side of the iPad. With the launch of new computers at WWDC 2012, Apple secretly released a full case for the iPad that covers the iPad fully and works just the same as an iPad Smart Cover but now goes all the way around. Available in much of the same colors as the other polyurethane Smart Covers the case is made of the same materials that the original Smart Cover is made of. At this moment in time there is no leather version, for those who like the more expensive Smart Cover. Upon first unboxing, in typical Apple style it’s packaged very neatly and is presented in very good quality. When first feeling the case the top portion that is the actual Smart Cover on the Smart Case feels the same as the existing Smart Cover and works the same as well. It has magnet in it to lock and unlock the iPad and can be folded just the same to be propped up for easier typing. The case itself the protect the backside by a thick polyurethane flexible case. the iPad is suppose to slip in perfectly with only a little pressure around sides, which this was not the case. It was very hard to put The New iPad into the case and I had much difficulty. 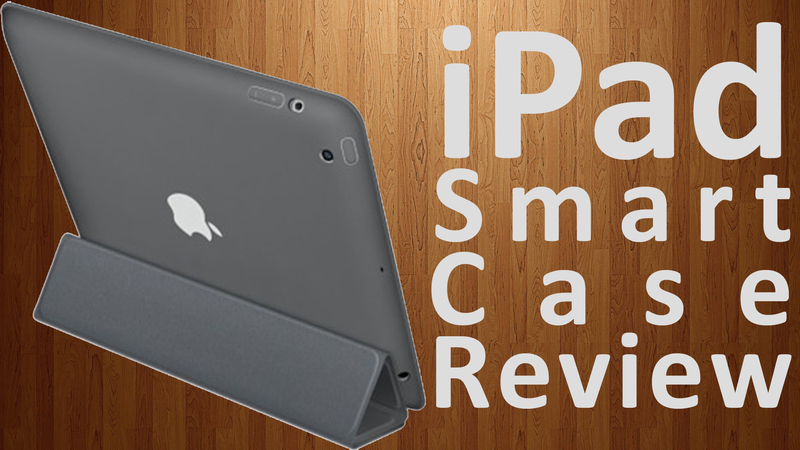 Once you do have the case on it is very stable and feels like it has a good grip on the iPad. The build quality of the case does not feel very good, I’m quite shocked that Apple would make this product and not have a Apple-standart quality to it. One of the very first frustrations that I have is the way the case sits on the outer bezel of the case. The way it sits, it is very difficult to open up the case and open it. Overall I was very disappointed with this case, it didn’t feel like an Apple product and I will probably end up getting another case for my iPad because this case is now what I’m looking for.